On a continent known for some of the world’s greatest wildlife experiences, there’s still one that eclipses them all — the magnificent, spine-tingling Great Migration. Like many of the greatest shows in history, there’s no better seat than front and centre. 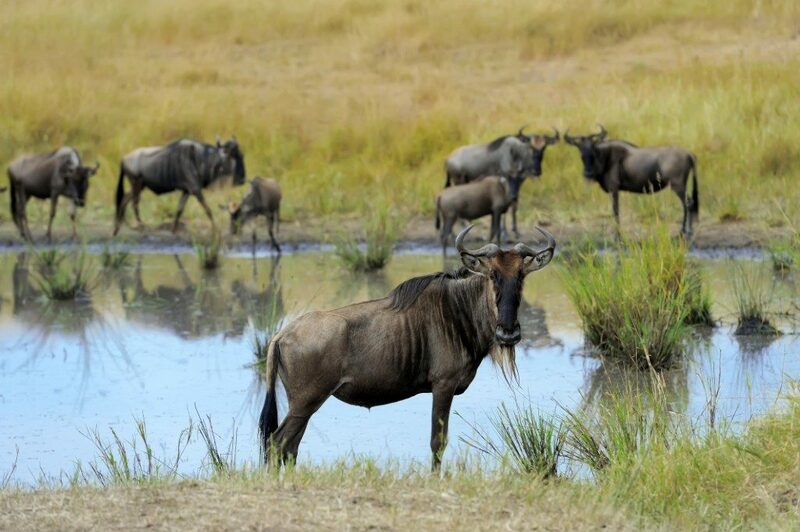 During the migration, over a million wildebeest and zebra move across Tanzania’s Serengeti National Park, following their taste for the sweet grasslands of the Maasai Mara Game Reserve in Kenya. The trek traverses some 1000 kilometres, across plains where predators wait to pick them off. They travel over hills and through rivers with crocodiles waiting; battling disease, starvation, thirst and fatigue, with around 250 000 animals perishing along the way. How does one gain access to such a spectacle, and what is the best way to see it? Last year’s event was heralded as the ‘World Cup Migration’, fraught with anticipation due to its delayed start. 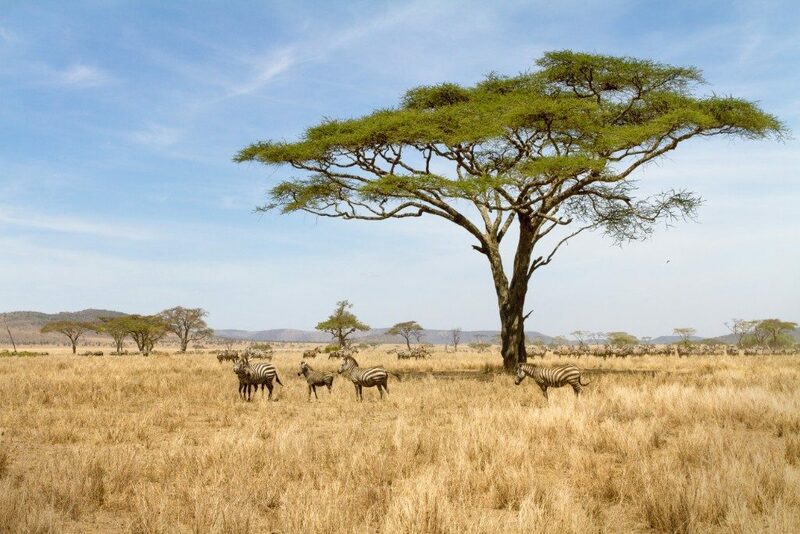 The incredible Serengeti rains at the beginning of the year ensured the survival of many newborns. 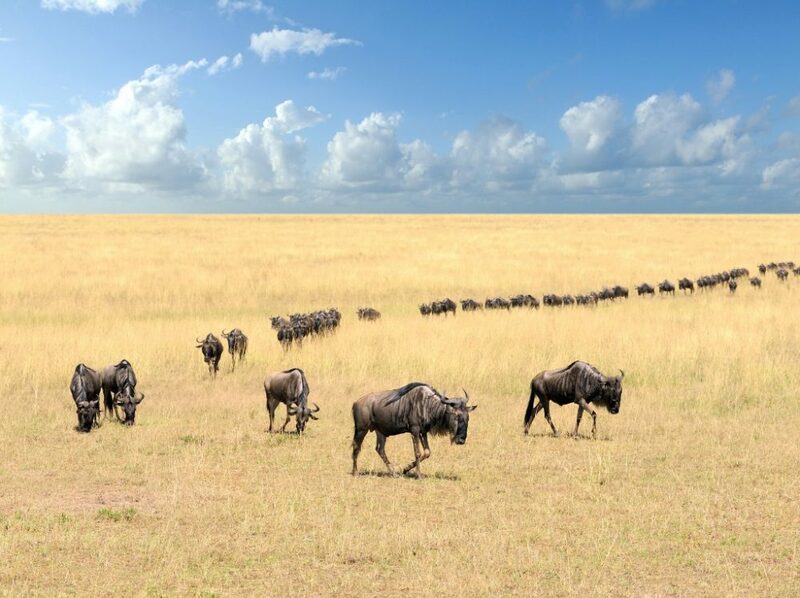 Security around Maasai Mara and its airstrips has increased, due to the influx of tourists, and lodges and hotels had a 98% occupancy rate, as witnessed first-hand by Dorine Reinstein, a South African based travel and tourism journalist. From January to February, the herds congregate on the grasses of the southern Serengeti around Lake Ndutu and Kusini, following the rains in November and December. Up until March, gangly babies start to appear across the landscape, which is a heart-warming spectacle, but similarly heart-breaking, as predators line up for their fill of easy prey. Through April to June or even as late as August depending on the rainfall, mega columns of wildebeest stretch from the south, through the Moru Kopjes in the central Serengeti all the way to the Western Corridor, where the banks of the Grumeti and Mara rivers present the challenge of getting to the other side where the sweet grasslands lie further north. By October, most of the rumbling herd has made it across the rivers, congregating on the vast nutrient-rich grassy plains of the Maasai Mara. They have arrived, for a while, but as November begins, the storm clouds gather in the distance, and again they stir, circling round the eastern fringe of the Mara, braving the mighty Mara River once again. They make the final leg of their journey through western Loliondo and the Serengeti National Park’s Lobo area, returning to the green shoots which follow the rains on the plains of the southern Serengeti. Back at the start, mother wildebeest are heavy with pregnant bellies, and as soon as they are settled, the calves drop on the fresh grass, wonky-legged, and somehow sensing that they need to be strong and independent soon for the Great Migration to take its course once again.